Leverkusen, Brilon – Specialty chemicals company LANXESS is strengthening its innovative product portfolio of lightweight materials to the automotive industry by acquiring German company Bond- Laminates GmbH. Financial details were not disclosed. The transaction has closed with immediate effect. Founded in 1997, Bond-Laminates is based in Brilon, North Rhine Westphalia, and specializes in developing and producing custom-made plastic composite sheets that are reinforced with materials such as glass fibers. This composite technology is sold under the brand TEPEX. LANXESS has already been working with Bond-Laminates since 2006 on several successful projects with the automotive industry. In comparison to metal parts, the plastic composite sheets are easier to process, have excellent mechanical properties and weigh up to 40 percent less. This means the automotive industry can cut production costs, increase freedom of design and improve safety. In addition, the fuel consumption and emissions of a car can be lowered. “LANXESS is reinforcing its credentials as a premium supplier of innovative products that serve the growing trend of ‘Green Mobility’,” said Chairman of the Board of Management of LANXESS, Axel C. Heitmann. “We see tremendous potential for this composite technology as it spreads from the premium automotive segment to the wider market.” Over the last decade, automotive manufacturers have gradually shifted their focus from just using metals to using metals combined with plastics. LANXESS’ Durethan plastic compounds can already be found in car parts in combination with steel or aluminum. The plastic content in any car can amount to 20 percent – and this figure is showing an upward trend. Bond-Laminates’ production site, simulation technology and laboratory facilities are based in Brilon. 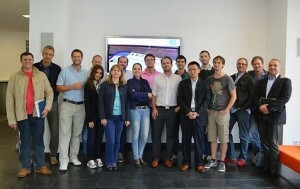 It employs roughly 80 people and achieved sales of EUR 16 million in 2011. Bond-Laminates and its management team will be part of the LANXESS’ High Performance Materials (HPM) business unit, headed by Michael Zobel. The sports and electronics industries represent the other key customer markets alongside automotive. LANXESS has earmarked investments of EUR 125 million in expanding its global production network for high-tech plastics from 2012-2014. The heart of LANXESS’ high-tech plastics value chain is in Antwerp, Belgium, and Krefeld-Uerdingen, Germany. In Antwerp, the company has decided to build a new world-scale facility to make polyamide plastics and has recently expanded capacities at this site for the chemical intermediate caprolactam, which is a precursor for the polyamide. Polyamide is then sent to LANXESS’ growing global network of compounding facilities, where it is mixed and refined with additives and glass fibers, to produce the brand Durethan. Existing compounding capacities in Wuxi, China, have been increased and a new plant in Jhagadia, India, opened earlier this year. A compounding plant in Gastonia, USA, will start up this month and one in Porto Feliz, Brazil, is currently under construction. LANXESS has also recently expanded capacities for its Pocan brand of plastics (polybutylene terephthalate) at its joint venture plant with DuPont in Hamm-Uentrop, Germany. The High Performance Materials business unit is part of the Performance Polymers segment, which generated EUR 5.1 billion in total sales in fiscal year 2011. HPM has roughly 1,550 employees worldwide.